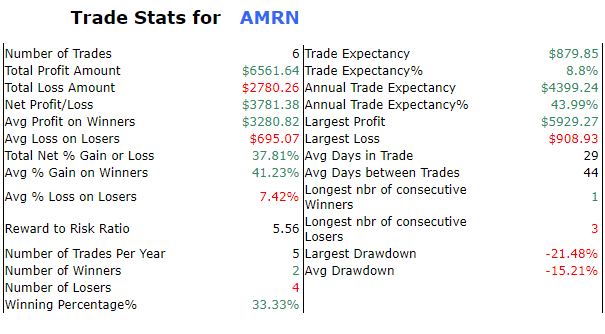 The long term trend of Amarin Corp Ads is UP indicating that AMRN has experienced an UP trend for at least the past 180 trading days. Long term trends are key to understanding the starting point to the path of least resistance of a stocks price trend. The expected future trend bias is always strongest with the current trend. 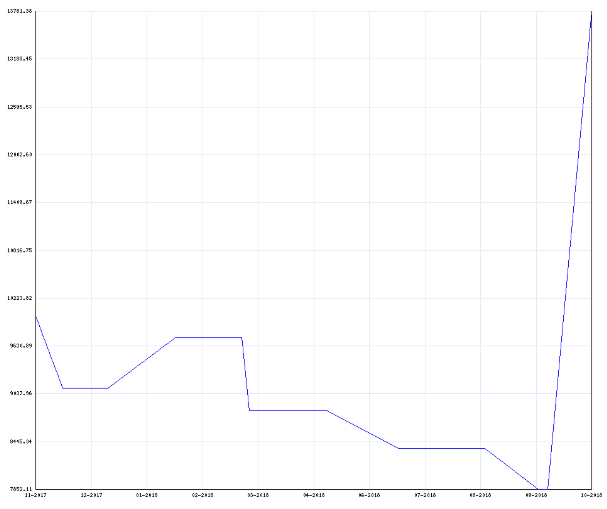 The short term trend of Amarin Corp Ads is UP, AMRN has been undergoing a short term UP UP over the past 7-10 days. 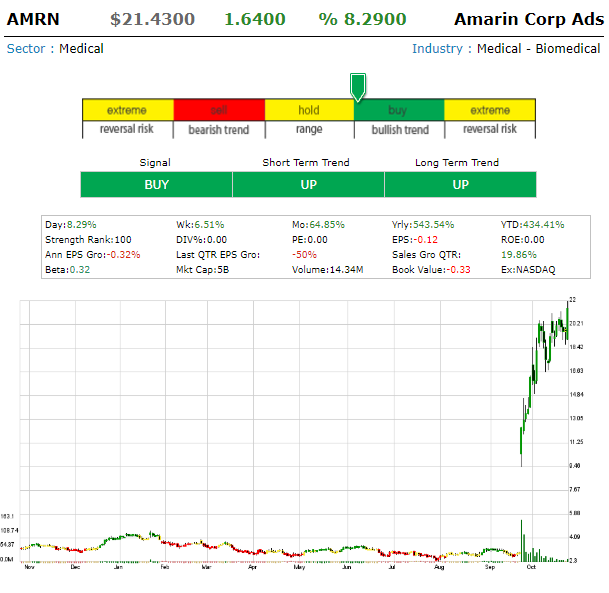 The current signal for Amarin Corp Ads is BUY indicating that the stock could be Advancing in its trend. The current price trend is not Extreme. Stocks in extreme levels of price trend should be allowed to move out of the extreme range before a buy or sell decision should be made. As is the case for most trending momentum style stocks, much of the "reason" price action is not often known until well into the price trend. But earnings growth and management efficiency are key components to a foundation to a sustainable uptrend. We will focus on fundamental indications that can build a case for reasons why the stock should continue its current trend. The current rank for Amarin Corp Ads is 100, this means that AMRN is out performing 100% of its peers. Stocks that have a rank of 80 or better, with support of all other analyses shown here, tend to advance the trend.